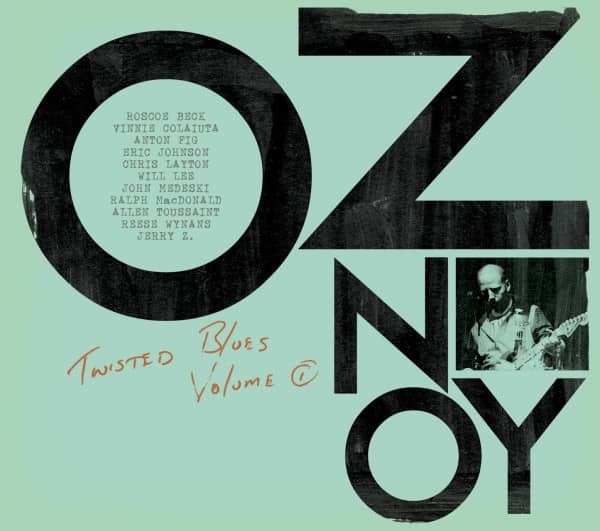 New York based plectorist extraordinaire Oz Noy makes his Abstract Logix debut with 'Twisted Blues', his most eclectic album to date that displays his signature guitar sounds as well as for the first time showcases his profound love of blues, featuring Chris Layton and Reese Wynans of the legendary Steve Ray Vaughn Band. Oz is a chopsmeister of the highest order with a wealth of weapons in his trick bag. A master manipulator of tones and effects, he can deftly switch from lacerating single note work to Leslie-imbued organ stylings (a la Charlie Hunter) to jaw-dropping wah-wah-inflected lines. Sometimes within the same song (as he does so nonchalantly on the scintillating title track). And while he emigrated to New York City in 1996 from his native Israel, you'd swear he had a lengthy stopover in New Orleans by the sound of his authentic second line groover 'Oh Really' featuring Allen Toussaint and his interpretation of the Meters' funk anthem, 'Cissy Strut. ' Twisted Blues was recorded partly in Austin which featured the legendary Eric Johnson on guitar, Chris Layton on drums, Roscoe Beck on bass, Reese Wynans on the organ. The New York Sessions featured the amazing Vinnie Colaiuta and Anton Fig on drums, Will Lee on Bass, John Medeski and Jerry Z on organ, Allen Toussaint on the piano and Ralph McDonald on percussion. Kundenbewertungen für "Twisted Blues Vol.1"